Why it is important to consult with a lawyer before attempting to work with a debt consolidation company. St. Petersburg bankruptcy lawyer Jesse D. Berkowitz is urging consumers who are struggling with their debts to speak to a qualified bankruptcy attorney prior to engaging a debt collection company to help them resolve their debts. According to Mr. Berkowitz, while bankruptcy is not appropriate in every case, it is extremely rare that debt consolidation is a better option than the elimination or restructuring of debts through bankruptcy. Loose Regulations – According to Mr. Berkowitz, loose Federal Trade Commission regulations have resulted in consumers believing that they are working with a non-profit organization that is actually funneling money to a for-profit enterprise. Debt Consolidation Companies Often Under Deliver – There is no legal requirement that creditors agree to the payment arrangement proposed by debt consolidation companies. As a result, a potential outcome is paying a debt consolidation company each month only to be hit with a lawsuit from a creditor who did not agree to work with the company. Tax Consequences – Many consumers fail to understand that forgiven debt can be treated as income by the IRS, resulting in a significant and unexpected tax bill. Credit Implications – While you are paying the debt consolidation company and it is trying to settle your debts, it is not making timely payments on your bills. As a result, working with a debt consolidation company can actually make your credit much worse than it already is. 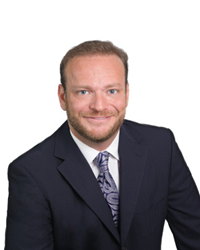 Jesse Berkowitz has been admitted to practice law in the state of Florida since 2002 and focuses a significant portion of his legal practice on helping individuals who are struggling with debt. Before working at Berkowitz & Myer, Jesse held a position at the Jodat Law Group where we represented individuals who were involved in Personal Injury Protection (PIP) disputes with insurers. In addition, he worked with Joan Berkowitz, P.A. practicing in the areas of bankruptcy, criminal defense, and creditor harassment. Berkowitz & Myer is a St. Petersburg, Florida law firm that represents individuals and businesses in a variety of legal matters, including bankruptcy, foreclosure, creditor harassment, and personal injury, and business litigation. Prospective clients can schedule a free consultation with one of the firm’s attorneys’ by calling them at 727-344-0123 or send them an email through their online contact form.